At the Food Gardens Foundation, you can work in creating your own Garden. The method that our gardeners use is a low-cost and small-scale yet ecologically sustainable technique called Food Gardening. By practicing this simple skill, people achieve community development and social uplift and inspiration. Food Gardening optimizes normal domestic and other organic waste to revitalize the soil and feed growing vegetables. It is a suitable method even for those who have small resources, making the best use of limited space and scarce water, restoring life and fertility arid earth. Please use the Contact form on the right for Creating Your Own Garden information and ordering. 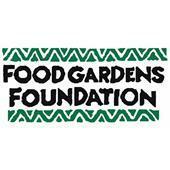 Your message will be sent to Food Gardens Foundation only. Privacy & Anti Spam protected.